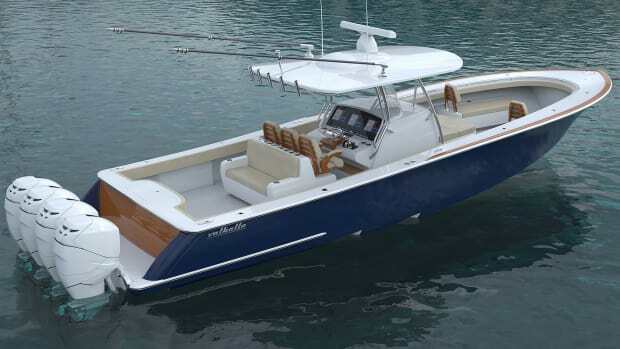 This boat is designed to fish hard in comfort. 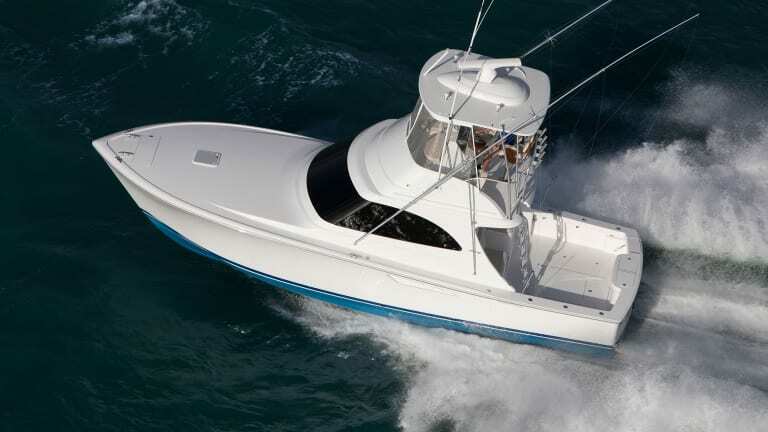 In 2007 Ocean Yachts introduced the 37 Billfish, a throwback to the fishing boats built by Florida legends Rybovich and Merritt. It gained instant popularity, but when the economy took a nosedive the following year, the New Jersey builder eventually closed its doors. 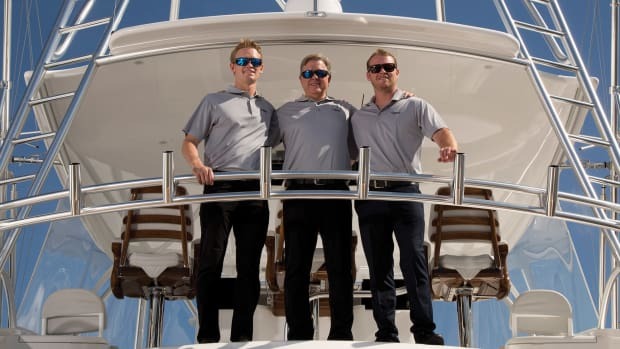 A few years back, Viking Yacht Co. purchased the Ocean manufacturing facility on the Mullica River and decided to update the Billfish, with the heir to the Ocean Yachts legacy, John Leek IV, signing on to run the plant. 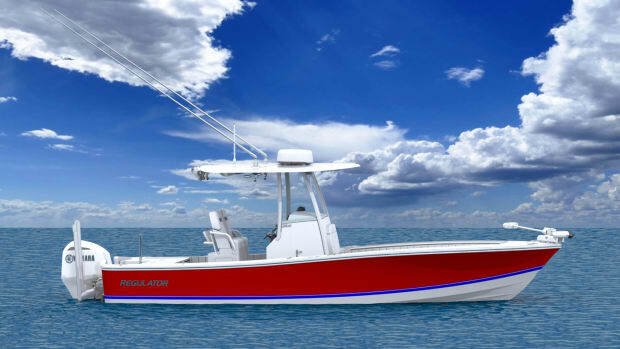 The Viking 37 Billfish came out in 2017 and again was an instant hit with offshore anglers. 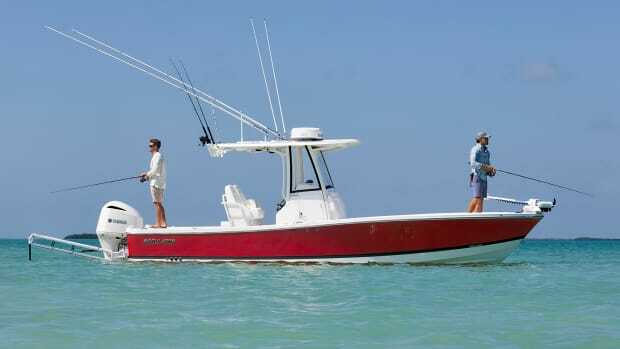 But with a company motto like “building a better boat every day,” Viking couldn’t leave well enough alone. 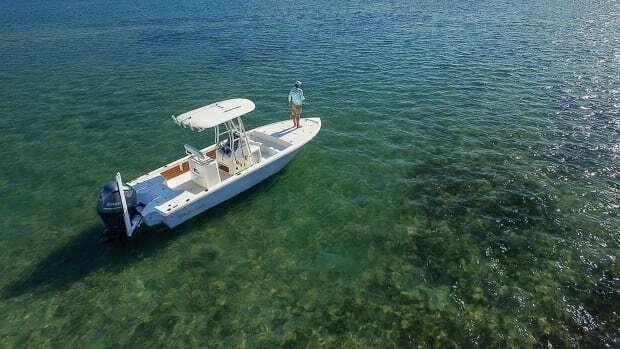 It introduced the 38 Billfish at the Miami Yacht Show earlier this year, and the new boat remains true to the genetics of the original, taken to the next level. 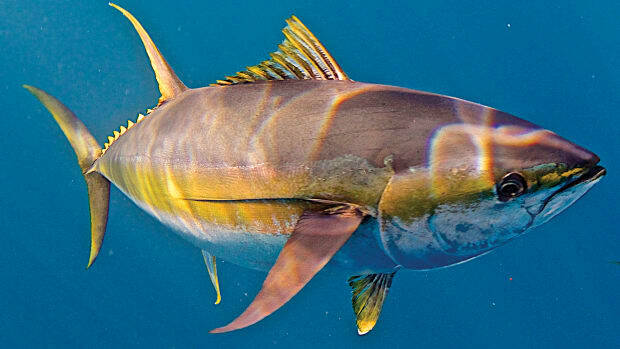 The lines are unmistakably Billfish. 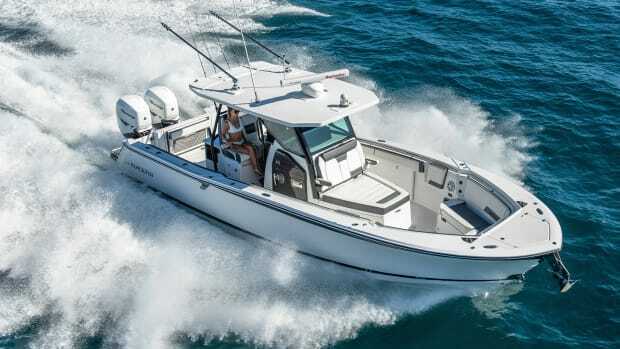 The new hull picks up a knot or two at the top end while providing a more efficient cruise, with a fuel burn of 42 gph at 30 knots with the twin Cummins 550-hp diesels turning 3,000 rpm. 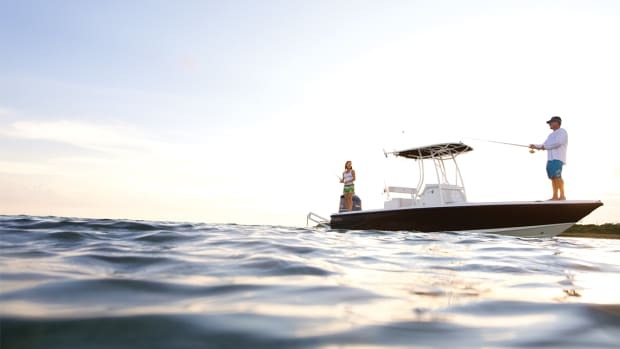 Rutt pointed out some of the boat’s features, such as a 460-gallon fiberglass fuel tank bonded to the stringer system, a compartment for a Seakeeper 6, a new battery distribution and breaker system, and an engine room with improved access to components. The hull is a foot longer, but the beam remains 14 feet. 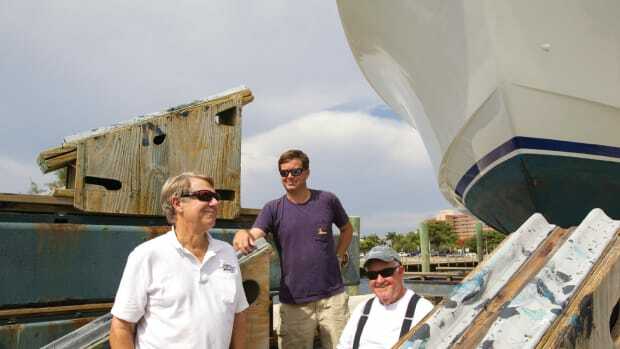 The 109-square-foot cockpit has insulated fishboxes, a walkthrough transom door, a bait freezer, a transom live well and mezzanine seating. 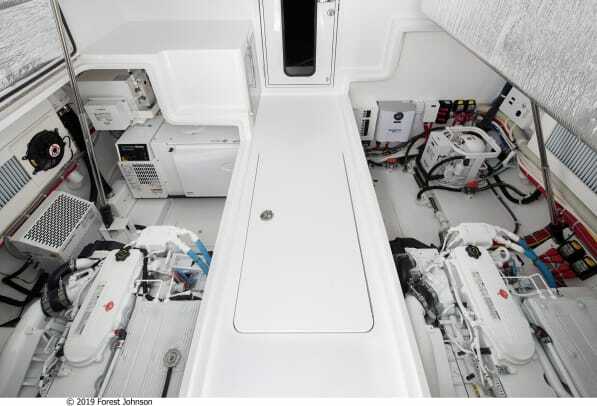 What Viking calls the “command deck” is a saloon-like living area with a U-shaped dinette and a lounge with hideaway rod stowage underneath. Below deck is a full galley, a head and a private stateroom. The flybridge has a walkaround helm with Palm Beach-style controls and lounge seats to port and starboard. 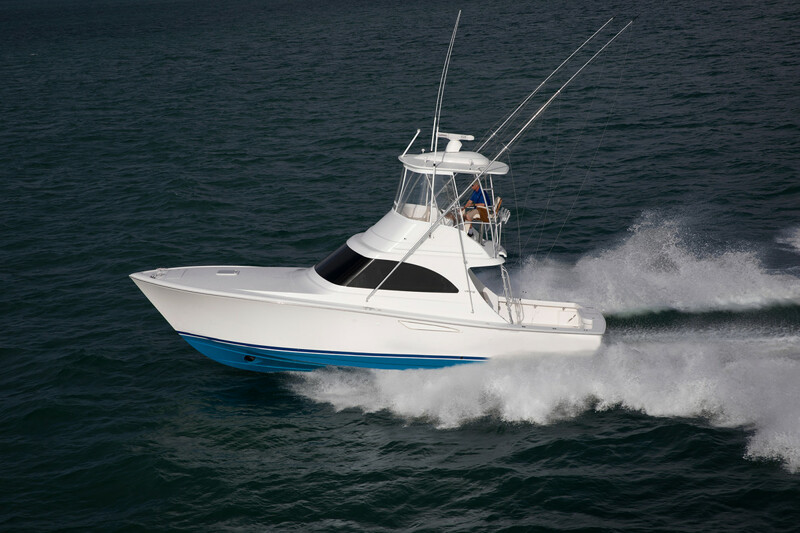 The 38 Billfish has a base price of $815,000 with twin 550-hp Cummins QSB6.7 diesels.